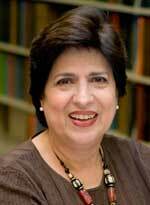 Ofelia García is Professor in the Ph.D. programs of Urban Education and of Latin American, Iberian, and Latino Cultures (LAILAC) at the Graduate Center of the City University of New York. She has been Professor of Bilingual Education at Columbia University’s Teachers College, Dean of the School of Education at the Brooklyn Campus of Long Island University, and Professor of Education at The City College of New York. Among her best-known books are Bilingual Education in the 21st Century: A Global Perspective; Translanguaging; Language, Bilingualism and Education (with Li Wei, 2015 British Association of Applied Linguistics Book Award recipient). Her recent books (2016-2017) include The Oxford Handbook of Language and Society (with N. Flores & M. Spotti); Encyclopedia of Bilingual and Multilingual Education (with A. Lin & S. May), The Translanguaging Classroom (with S. I. Johnson & K. Seltzer); Translanguaging with Multilingual Students (with T. Kleyn). Prior to 2016, García’s books include Educating Emergent Bilinguals (with J. Kleifgen), Handbook of Language and Ethnic Identity (with J. Fishman), Negotiating Language Policies in Schools: Educators as Policymakers (with K. Menken), Imagining Multilingual Schools (with T. Skutnabb-Kangas and M. Torres-Guzmán), and A Reader in Bilingual Education (with C. Baker). She is the General Editor of the International Journal of the Sociology of Language and the co-editor of Language Policy (with H. Kelly-Holmes). García was co-principal investigator of CUNY-NYSIEB (www.cuny-nysieb.org) from its inception in 2011 until 2016. García’s extensive publication record on bilingualism and the education of bilinguals is grounded in her life experience living in New York City after leaving Cuba at the age of 11, teaching language minority students bilingually, educating bilingual and ESL teachers, and working with doctoral students researching these topics. In 2016 García received an Honorary Doctorate of Humane Letters from Bank Street Graduate School of Education, and in 2017 she received the Charles Ferguson Award in Applied Linguistics from the Center of Applied Linguistics, and the Lifetime Career Award from the Bilingual Education SIG of the American Education Research Association. In 2018 she was appointed to the National Academy of Education and received The Graduate Center Excellence in Mentoring Award. Her e-mail is ogarcia@gc.cuny.edu.